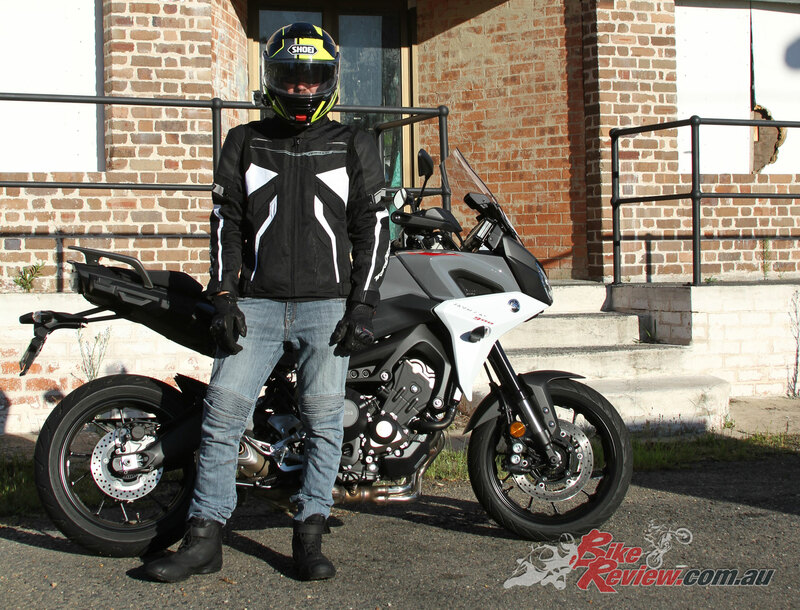 As any everyday rider I’m pretty fussy when it comes to motorcycle boots, and I find they tend to work really well and tick all the boxes, or just fail abysmally. 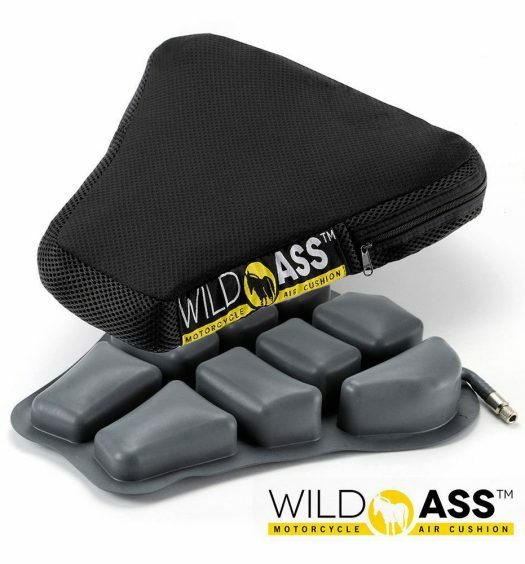 I need something comfortable, long lasting and offering an appropriate level of protection. 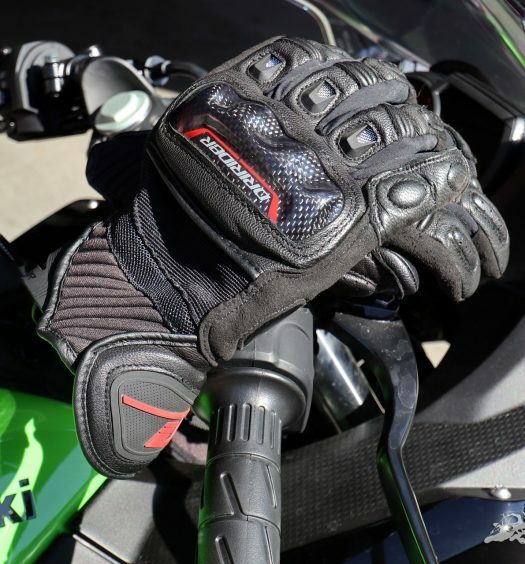 Most of the boots I commonly wear need to handle a bit of walking around, and the DRIRIDER Street 2.0 boots immediately cover these duties with ease. I chucked them on and could spend a full day in them without breaking a sweat. 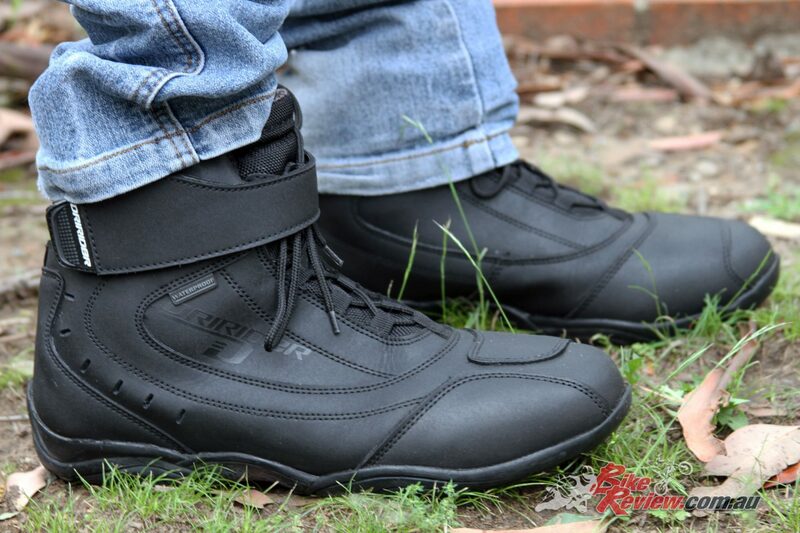 A short boot, they include laces and a velcro retaining strap and are waterproof, while still breathing well for general riding and walking duties. 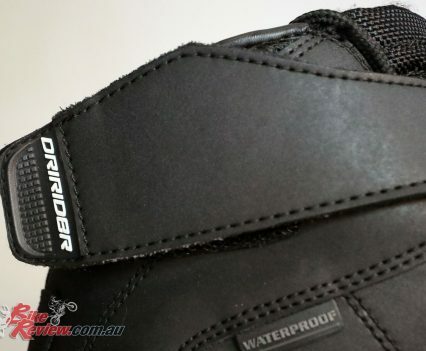 The anti-slip soles does a good job on slippery surfaces in the wet and at petrol stations, and there’s good support for walking around, while I found no discomfort around the ankles, even with the laces done up pretty tightly. Being a short cut boot does mean that waterproofing relies on also running a set of waterproof pants during a heavier downpour, as if your waterproof pants aren’t snug over the top of the boot, you’ll get water running down your legs and ankles into the boot. 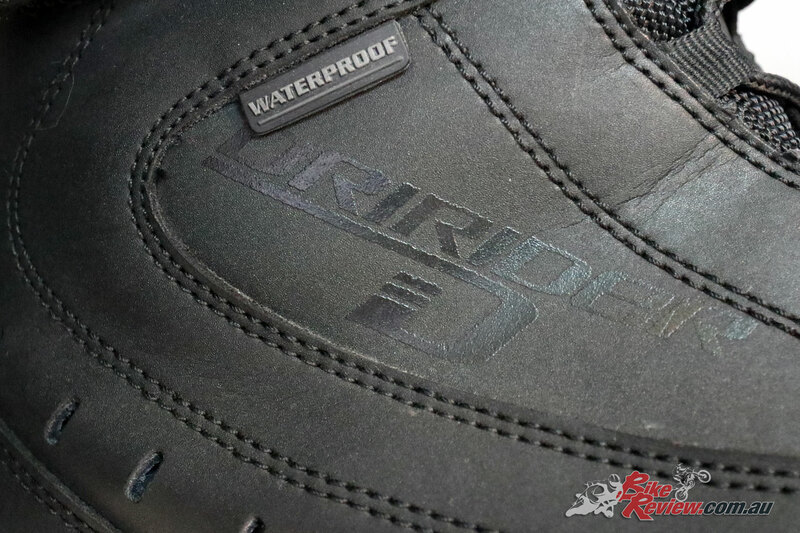 The waterproofing of the boot itself is great however, and even in light rain, with just regular kevlar-lined jeans on, they kept my feet dry. 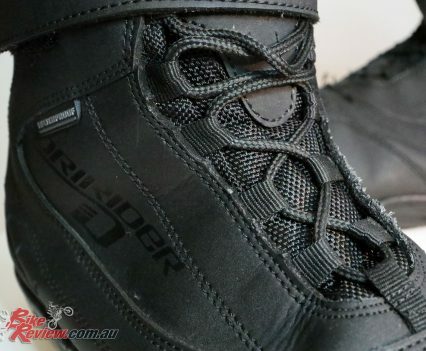 On the super hot ‘melt the soles off your shoes’ 45+ degree days we’ve occasionally had over summer, the DRIRIDER Street 2.0 boot was also comfortable for all day wear, even when doing plenty of running around in the heat with the camera out, which can involve anything from simply standing around on the side of the road, through to clambering through the bush to get to a decent vantage point for a shot. 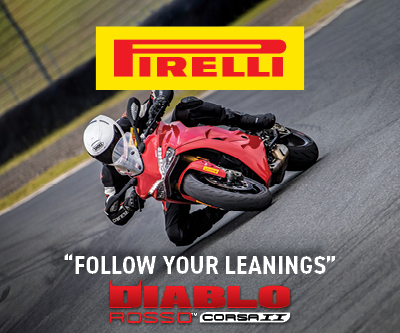 The boot sole offers strong grip and is showing no signs of wear despite daily riding. 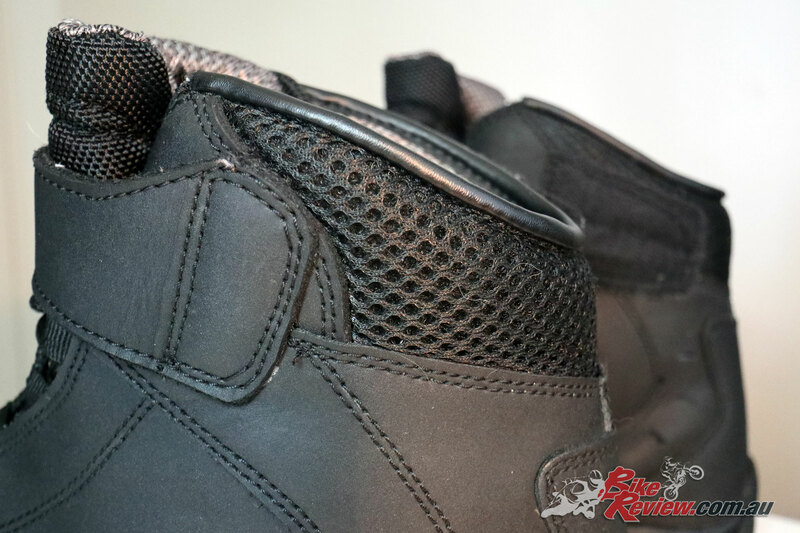 The PU leather upper construction is one point of note. 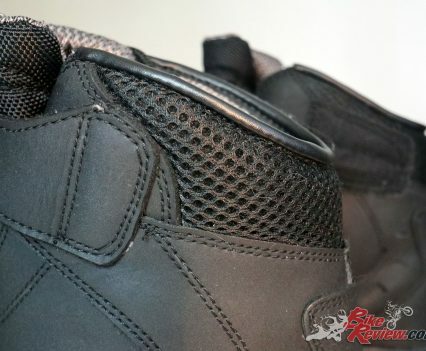 Where I’m not a huge fan of PU leather on a proper track style boot, on the Street 2.0 boot it’s a more ideal choice, as there’s less bending and folding of the PU leather upper simply due to the boot’s construction, which means less wear and less likelihood for the PU leather to start falling apart. 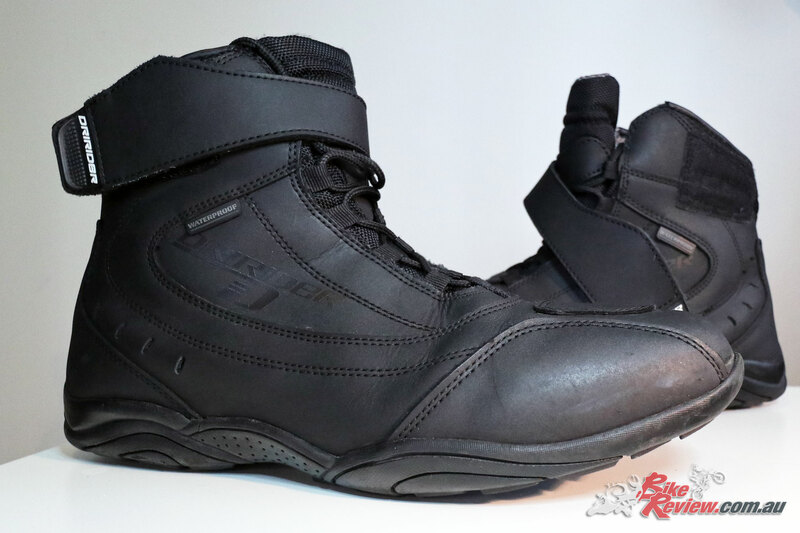 The $169.95 RRP asking price is also pretty reasonable if you ask me, if not cheap, and the Street 2.0 Boot is stylish enough that I wouldn’t be worried wearing them with most trousers or jeans. They’ve become my everyday riding boot, which means my proper track boots will also last longer. Win-win! 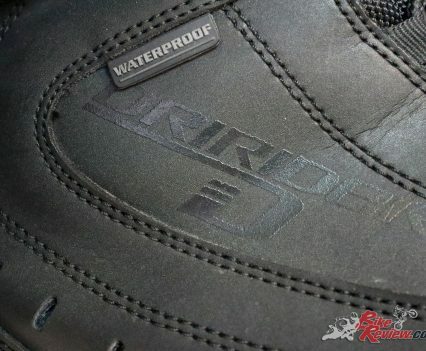 Despite being waterproof the boot’s breathability is also commendable. 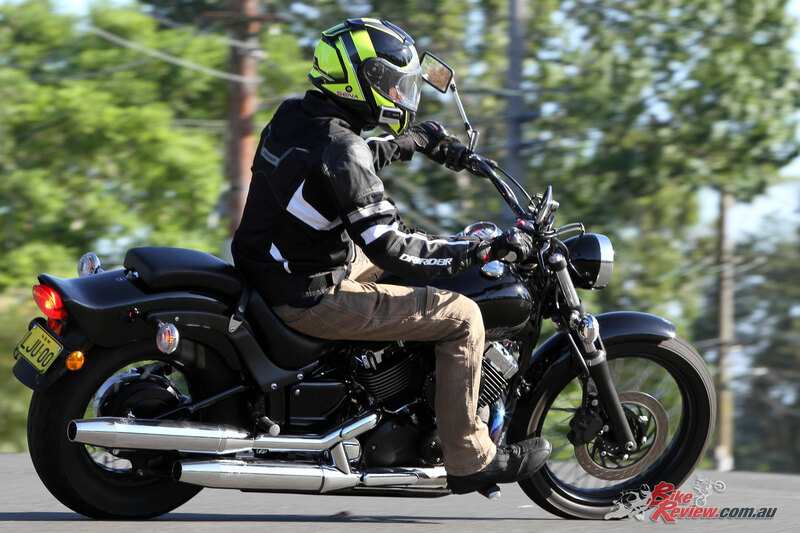 If you like the the styling and the idea of a casual set of motorcycle boots like this, I’d definitely recommend heading to a store and trying them on. 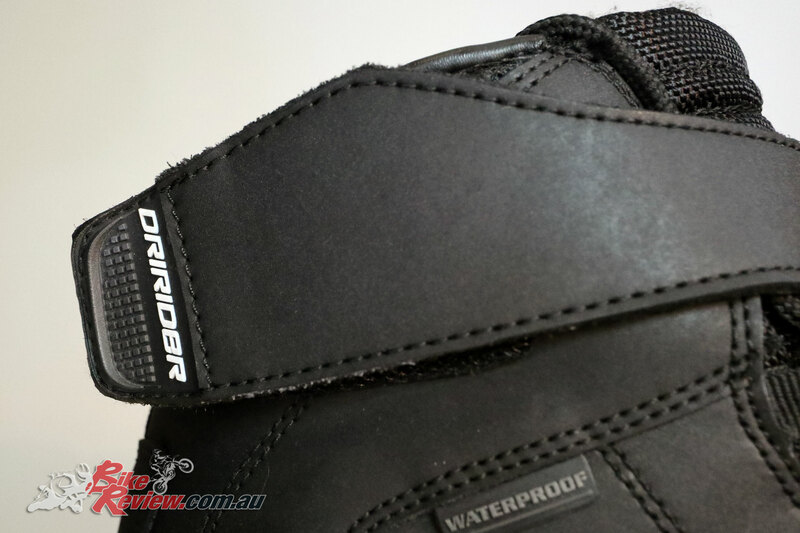 See your local DRIRIDER stockist for more information, or www.dririder.com.au. 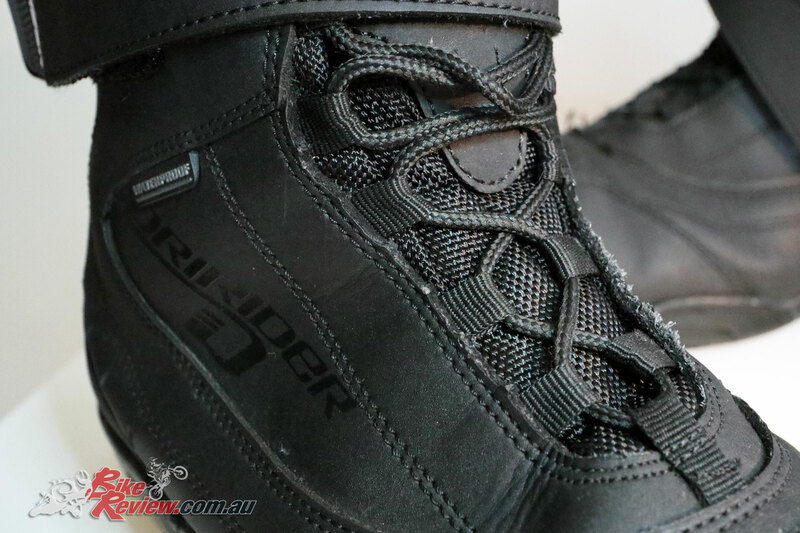 The DRIRIDER Street 2.0 boot offer a great option for those after a casual lace-up, ankle length motorcycle boot that combines good protection, with everyday wearability, both on and off the bike. 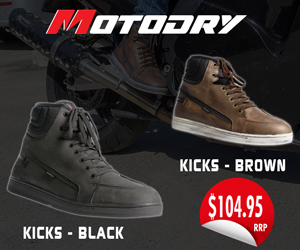 Priced at $169.95 RRP the Street 2.0 boot suits most jeans and trousers, and as an added bonus is waterproof.